AdaptiBridge | Cambridge International Systems, Inc.
AdaptiBridge is a customizable maintenance support, maintenance quality assurance, and supply chain management system that can be tailored to complement your internal processes, meet your organization security requirements, and optimize your operation through automation, transparency, and efficiency. AdapitiBridge is a web-based, Software-as-a-Service, computerized maintenance management system that works by storing asset data, automating work order and request processes, monitoring equipment using predictive maintenance, scheduling maintenance work and resources, recording inventory levels, tracking purchase and delivery status, and providing management with reports in order to make data-driven decisions. Data-driven decisions enable efficiency and confidence – two elements that every successful enterprise needs today. 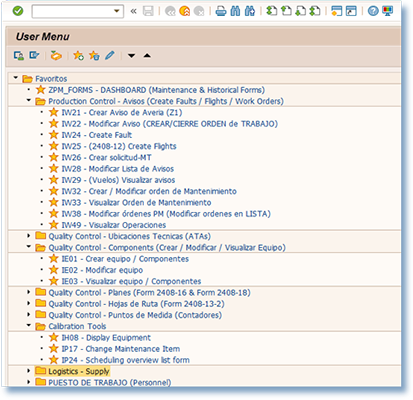 Can be configured to accommodate the different maintenance order classes of your organization, such as scheduled maintenance, tools, calibration, unforeseen maintenance, technical bulletins and directives, etc. Cambridge provides comprehensive implementation and training support for AdaptiBridge. Our IT implementation team handles all aspects of the software configuration and roll out. They have a comprehensive understanding of backend DB, SAP, and software capability requirements, and they facilitate the transfer of data between systems as needed. Our team can also provide user training, training planning, training materials, technical oversight during daily use, and helpdesk support for questions. Explore the latest Cambridge AdaptiBridge case studies.